My first run in with Fetty Wap came when I heard “Trap Queen” in late summer of 2015. It was a strange experience, one where I didn’t know how to react. The strange warbling of Wap’s vocals were foreign and almost funny. 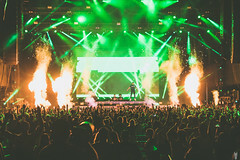 The beat behind his was nothing new, a pretty conventional hip hop track by Baauer, but Fetty’s presence confused it as he half-sung half-rapped through equally catchy verses and choruses. After my first listen, the song’s popularity made no sense to me– sure, the beat was danceable, but the vocals were abstract howls. The earworm had taken hold, however, and hours later, when I was still humming Fetty’s multiple opening greetings, the song’s skyrocketing success began to seem less strange. Despite my remotely piqued interest in Fetty’s new sound, I brushed off the single as being that of a one-hit wonder. It had all the makings of it: a song produced by the same guy who did “Harlem Shake”, had countless meme-offshoots, and made people laugh when it was even mentioned. But Wap kept coming, releasing “679”, then “My Way”, and then “Again”. 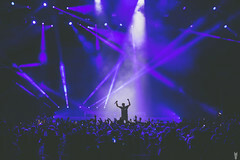 With each new single, he upped the ante– drenching each song in ad-libs that have now spread into pop culture’s collective unconscious. Wap, of course, didn’t come out of nowhere. The build up to his definitive sound is clear in its path. T-Pain and Kanye West effectively introduced the world to a new autotune in the mid-2000’s– one that didn’t hide in the studio, but blatantly corrected the voice. The difference between what artists in the mid-2000’s were doing and what artists like Wap are doing now is clear: when one listens to T-Pain, the vocals are smooth and clean, robotically steady. There is also the clear division between verse and chorus– rap, then autotune. West began to blur these lines, but the real pioneer in sing-rapping is Drake. The former Degrassi star has taken control of the entire rap industry by autotune-moaning over conventional hip hop beats. But still with Drake, the vocals themselves were nothing new– steady and similar to what West was doing on 808’s & Heartbreak. To see where Fetty’s shimmering vocal has come from one has to look down south, in Atlanta. Enter Young Thug. 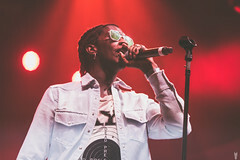 Thug made a name for himself in 2014 when he was featured on T.I.’s “About the Money”, and has continued to rise in popularity ever since. But his strange squawky sound and slurred rapping style received a large amount of criticism. Although Barter 6 was critically acclaimed, comment sections were abuzz about not being able to understand what Thug was saying, and claimed his sound was jarring and unappealing. But Barter 6 sold well, and more and more Thug-influenced artists came out of the woodwork. Fellow Atlantians Future and Migos have exploded onto the scene, seeming to release a mixtape every week. My tepid response to Fetty Wap was warm in comparison to my response to Young Thug and Future– my reaction was similar to popular feelings of confusion and overall dislike. But over time, Young Thug and his affiliates, like Fetty’s hooks, have grown on me. There’s something so interesting to the biotic shaking infesting popular music’s vocals. Early 2000’s autotune now seems so monotonous, so sterile. Wap, Thug, and the like have stormed the airwaves with a refreshing lack of self-seriousness (take note, Drake) that is reflected in their obtuse ad-libs and frantic vocals. So feel free to laugh at this new wave of artists– they’re laughing too, and then autotuning it and saying “1738”. But also study it carefully before dismissing it, there’s a lot of thought and history that goes into the “Yaaah baby” we know and love.